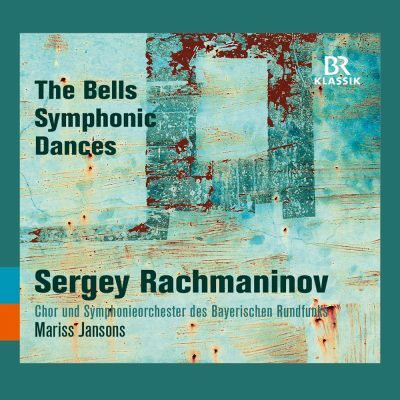 Mariss Jansons: Rachmaninov "The Bells" and "Symphonic Dances"
StartseiteHome BRSO Media Center CDs & DVDs Mariss Jansons: Rachmaninov "The Bells - Symphonic Dances"
Mariss Jansons: Rachmaninov "The Bells - Symphonic Dances"
CD with a live recording of Sergej Rachmaninov's "The Bells" and "Symphonic Dances" with the Symphonieorchester des Bayerischen Rundfunks and Mariss Jansons. Live recordings of Munich concerts of January 2016 and January 2017. The British “Gramophone Magazine” and French magazine “Diapason d’Or” awarded the recording in April 2018. Two large symphonic tone poems by the Russian composer Sergei Rachmaninov can be experienced on the new CD from BR-KLASSIK. The four-movement symphonic poem “The Bells” (“Kolokola”) op 35, based on a poem by Edgar Allan Poe, for solo voices, choir and orchestra, composed in 1913, and the three “Symphonic Dances” op 45 from 1940 – the last completed work by the composer, who died in 1943. Konstantin Balmont’s free adaptation of Poe’s poem “The Bells” impressed Rachmaninov greatly. Bells have a special importance for every Russian: their cathedrals are distinctive for the sound of pealing bells. Hearing them also left a lasting impression on Rachmaninov. The four stanzas of the poem vividly present the sounds of sleigh-bells, wedding bells, alarm bells and funeral bells, and these very different moods are masterfully conveyed in the four movements of the most monumental symphonic poem Rachmaninov ever wrote. The “Symphonic Dances” for large orchestra were written in 1940 on Long Island. The first movement contains a quotation from Rachmaninov’s (unsuccessful) First Symphony; the second deals with the years between the turn of the century and the Russian Revolution; and the third connects the “Dies Irae” (representing death) with the “Hallelujah” of the Orthodox Liturgy (symbolising the Resurrection). In the last few bars that Rachmaninov ever wrote, a hopeful hymn of praise triumphs over The Last Judgment – possibly a premonition of the composer’s imminent death. The two masterpieces, which Rachmaninov considered to be his best compositions, were recorded at concerts in Munich’s Herkulessaal on January 6, 2016 (The Bells) and January 2017 (Symphonic Dances). These outstanding performances of significant compositions of the early 20th-century symphonic repertoire are conducted by Mariss Jansons.